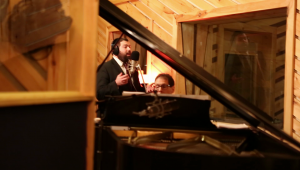 Jewish music meets the roaring 20’s in a new single that has just been released drawing key inspiration from jazz, klezmer and prayer. 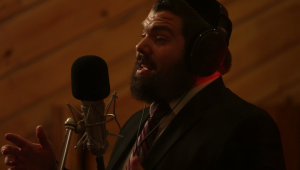 The song, Sheyibone, performed by singer/cantor, Aryeh Leib Hurwitz, expresses one of the most fundamental Jewish prayers, beseeching G-d to rebuild the Beis Hamikdash, ushering in the period of global unity and harmony. 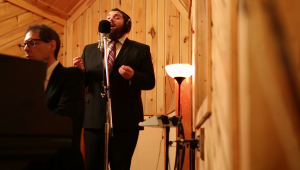 Raised in Brooklyn, Hurwitz, has never shied away from exploring new creativity in his music. 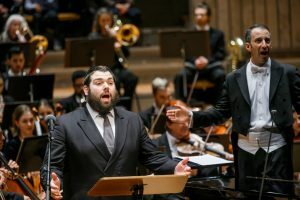 An admirer of Pavarotti, Rosenblatt and Moshe Koussevitzky, the singer expressed his desire to give Sheyibone a new, enthusiastic sound. The sound of celebration. 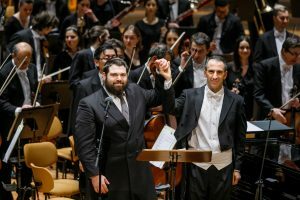 With an eclectic musical arrangement featuring Big Band Jazz, the single is a lively—and surprisingly diverse—interpretation of the famous melody, arranged by conductor Meir Briskman. Listening to the track, one is reminded of the singers of the 20’s, 30’s and 40’s who took the world by storm with their brash, innovative style. “It will make you want to pray and swing”. 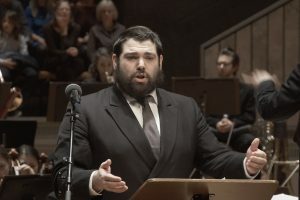 Sheyibone has been produced in various forms over the years, including an earlier interpretation made famous by Moshe Koussevitzky. 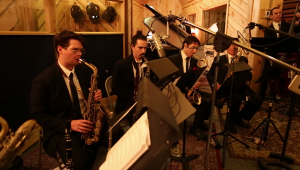 In this ‘Jazzy’ rendition Hurwitz maintains that Chazzonus feel. 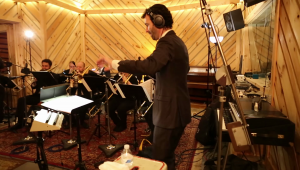 The music video is of a live rendition featuring 17 ‘big band’ musicians, a conductor and a cantor in a slightly different version than the single which has just been made available to the public earlier this month. 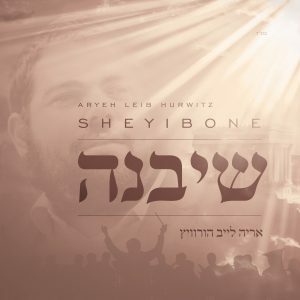 Sheyibone can be found on all music streaming stores such as, iTunes, Google Play, Amazon Music, Spotify, Mostly Music and more. 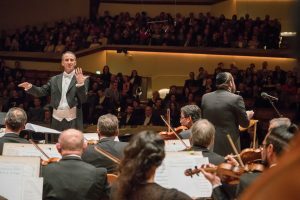 “There’s a lot more music in the pipeline”, Hurwitz says. 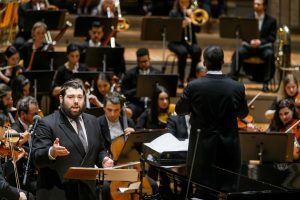 Having recently performed at the Berlin Philharmonic, and in Brooklyn’s Barclays Center, the Big Band-Chazzonus rendition is another page in the young singers career.